We'll carefully groom your dog. We provide relaxing, soothing baths and thorough brushing. 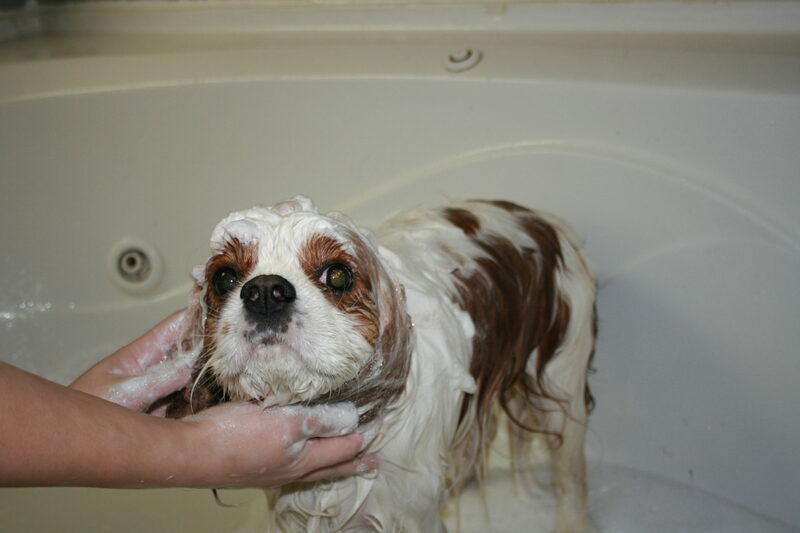 Each bathing session features shampoo, a blow-dry, and a brush-out. We also offer the ever-important nail trimming for your pup. Quick, painless – and one less thing for you to do at home yourself. For our grooming services, walk-ins are welcome. Please note: At this time, we do not do haircuts or styling. For your convenience, our traditional grooming services can be scheduled in advance. Many of our guests have monthly appointments. We’ll thoroughly wash, dry, and brush your dog. We proudly services all dogs, from the smallest of canines to extra large friends. We’ll trim your dog’s nails to a safe, comfortable length. We take walk-in appointments Monday through Saturday.